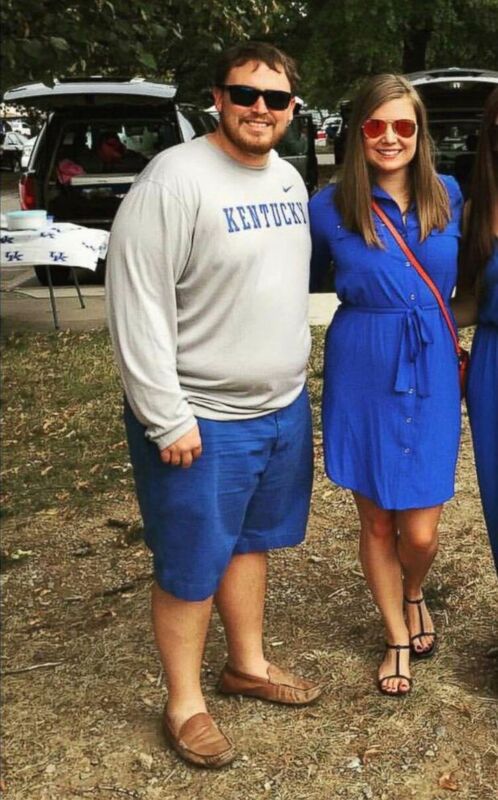 A Kentucky couple is celebrating Valentine's Day more than 120 pounds lighter. Skipping the chocolate this Valentine's Day could have a "ripple effect" on your partner's weight loss, according to a new study. The study, published this month in the research journal Obesity, found that when one partner commits to losing weight, the other partner is likely to lose weight, too. The six-month clinical trial looked at 130 couples in which one spouse was following Weight Watchers. The other spouse was given basic information on healthy eating but was not formally dieting, according to the study's lead researcher, a professor of behavioral psychology at the University of Connecticut. The study, funded by Weight Watchers, found nearly one-third of the weight-loss program participants' spouses also had successful weight loss within six months, proving what the lead researcher called a "ripple effect." The study also found the majority of partners leading the weight-loss charge were women. 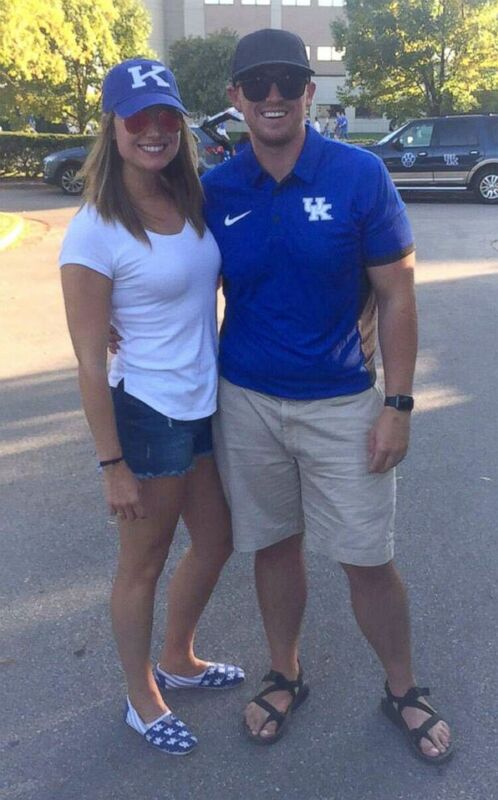 Megan Murphy and her partner, Kevin Minnick, are marking this Valentine’s Day having lost a combined 120 pounds after Murphy joined Weight Watchers in 2016. (Megan Murphy/Kevin Minnick ) Megan Murphy and Kevin Minnick were motivated by each other to lose weight. 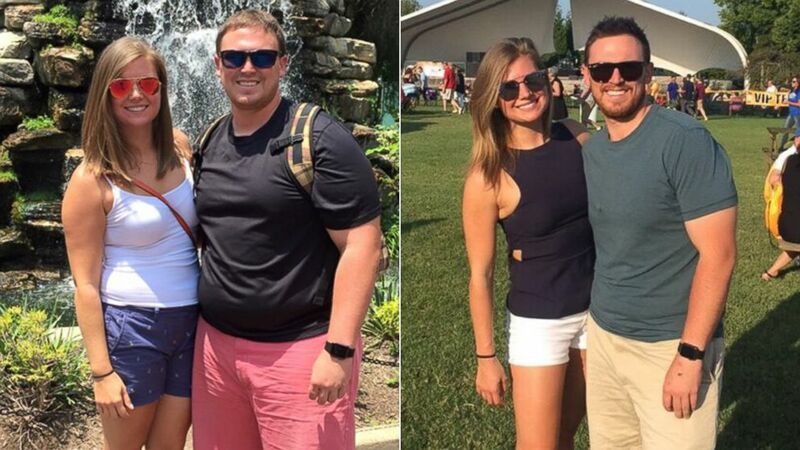 Minnick, 28, became inspired by Murphy, who has since lost more than 30 pounds, and began to focus on his own weight loss. He joined Weight Watchers a few months after Murphy, 29, and has lost 89 pounds. Murphy said she was able to lose even more weight, after struggling with it for several years, when Minnick became motivated to do the same. "I had tried to start working out and eating healthy on my own," she said, "but it was [easier] once Kevin said, 'I’m in this with you,' and we decided to make this change in our entire life." (Megan Murphy/Kevin Minnick ) Megan Murphy lost more than 30 pounds and Kevin Minnick lost nearly 90 pounds on Weight Watchers. "Having this person there who supports me in all other aspects of my life walking this path with me made it sustainable," Murphy added. How to create a 'ripple effect' in your relationship. The opposite of the "ripple effect" for couples can also be true, Mandy Enright, a New Jersey-based registered dietitian who specializes in helping couples with nutrition, told ABC News. "I’ve had couples where one partner is ready to make a change and the other partner continues to buy items the other person doesn’t want in the house," Enright said. "The partner is continuing to be an instigator rather than a support toward their goals." There are five simple steps couples can take to get on the same page when it comes to weight loss and living a healthy lifestyle, according to Ensign and Maya Feller, a New York-based registered dietitian. Establishing a plan at the start of a couples' journey can "reduce power struggles" later, Feller said. She described the process of changing eating and exercise habits as "partner work" and said couples can serve as each other's "peer counselors." "There should be really clear expectations of how they're going to support each other," Feller said, citing examples of defining when grocery shopping will happen and who is going to prepare meals like lunch and dinner. "You can’t have just one person doing it and the other person not playing a role," Enright said. She recommends using both written and verbal communication to make sure each partner knows, for example, the meals that are planned. Enright's clients have found success displaying their weekly meal plan on a board in the kitchen and using apps that allow both partners to remotely contribute to a grocery list, she said. (STOCK PHOTO/Getty Images) A couple grocery shopping at the supermarket looking at the nutritional content on a jar, in this undated stock photo. Communication also comes into play when telling your partner your motivation behind the changes and old habits they may be continuing that are no longer helpful, the two dieticians agreed. Feller recalled an experience with a client who was advised not to eat a certain baked good because of high cholesterol, but the person's partner had been stopping at a bakery for decades and bringing the item home. "We had to communicate to say, 'I know you’re stopping to get this because it’s out of love, but let’s understand that when she eats this, it’s unhealthy for her,'" Feller recalled saying. 3. Know and share your motivation. Focusing on weight loss to just satisfy your partner will likely not help you achieve success on your own, Feller said. "You have to be really clear about why you’re doing this," she said. "You want to make the choice, ultimately, for yourself." "Once you have come to terms with the fact that this really about transforming yourself for you," Feller explained. "Then you can then look outside yourself for the places you can come together." Feller said she has also found in her own practice that clients find success when they focus on goals together -- like traveling or completing a race -- rather than the numbers on a scale. "Sometimes couples will say, "I want to live longer with this woman,' or, 'I want to be retired at 70 and go on vacation and hike with you,'" Feller said. "That’s a beautiful way to look at it, from my perspective." 4. Be open to couples' counseling. A partner who is unwilling, or unable, to help you achieve a healthier lifestyle could be a sign of a bigger issue for the partnership or marriage, Feller said. 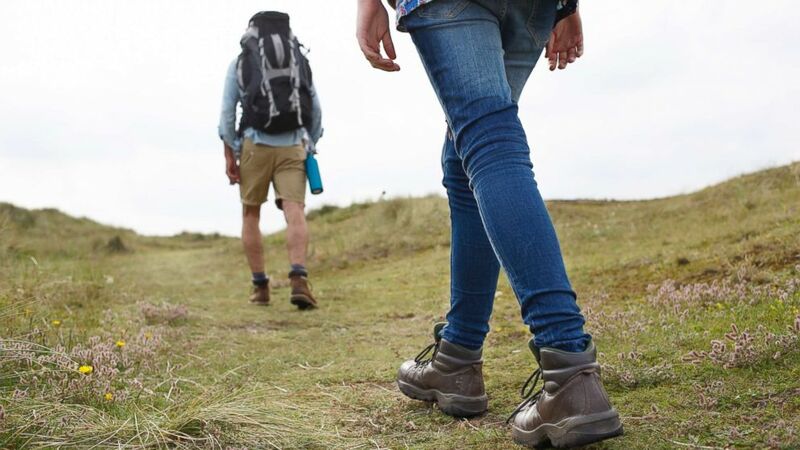 (STOCK PHOTO/Getty Images) A young couple hiking in sand dunes in this undated stock photo. "If there’s a competitive or negative component within the relationship around food, I usually tell them maybe they want to seek couples therapy," she said. "That can’t be worked on from a nutrition perspective." Partners sometimes see the other's efforts to develop healthier habits as self-centered behavior and have a negative reaction. "They may feel something, or interpret their partner’s transformation or engagement in positive self-care as a commentary of what they’re not able to do," she said. 5. Find ways to eat and exercise together. Murphy and Minnick start every day having breakfast and coffee together, even if it means waking up at 4:30 a.m. to do so because of their schedules. They also exercise together and find new activities to try in their hometown of Louisville. (Megan Murphy/Kevin Minnick) Megan Murphy and Kevin Minnick lost a combined more than 120 pounds on Weight Watchers. "We've made it really important to spend time together," Murphy said. "A typical weekend now is we wake up and workout together." Enright also advises couples to eat meals at a table together without phones or television as distractions, saying that should be "bonding time." She also recommends that couples try to follow the same weight-loss approach so one partner is not following, for example, the Keto diet, which is high in fat, while the other partner is following a low-fat diet.